greater than/less than. 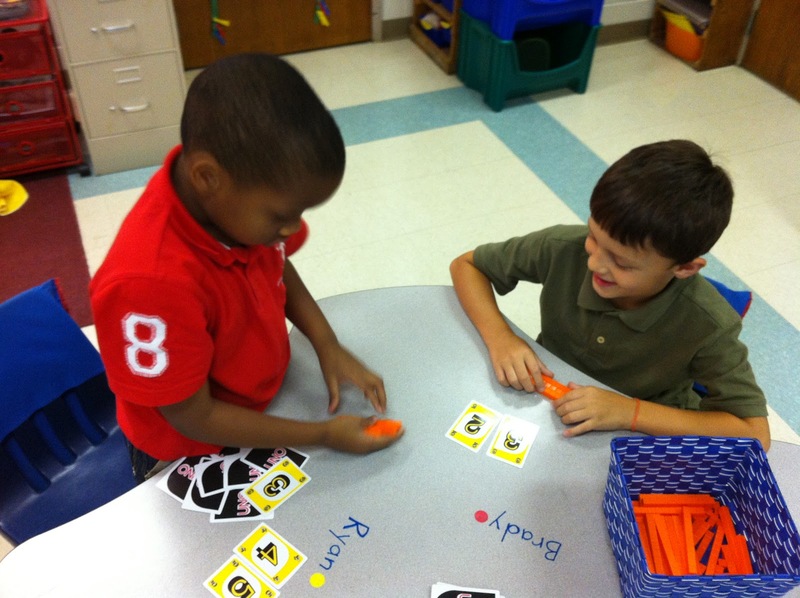 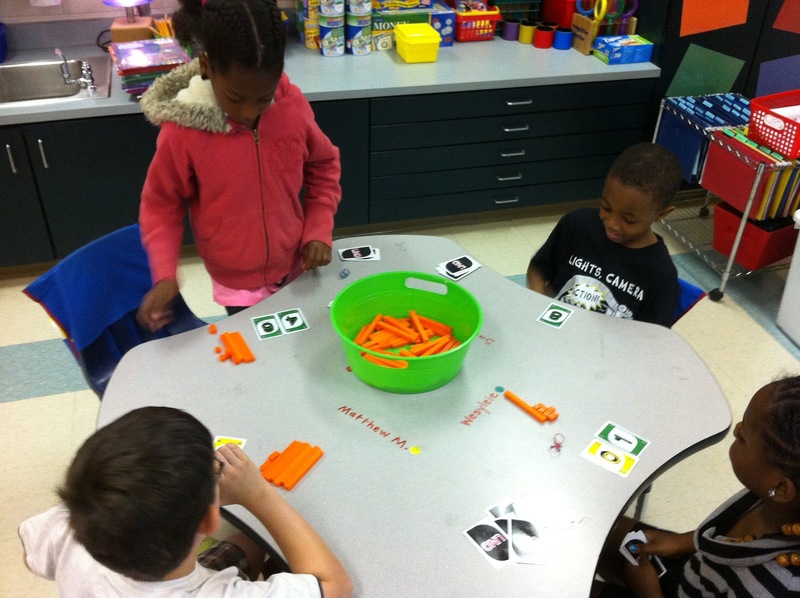 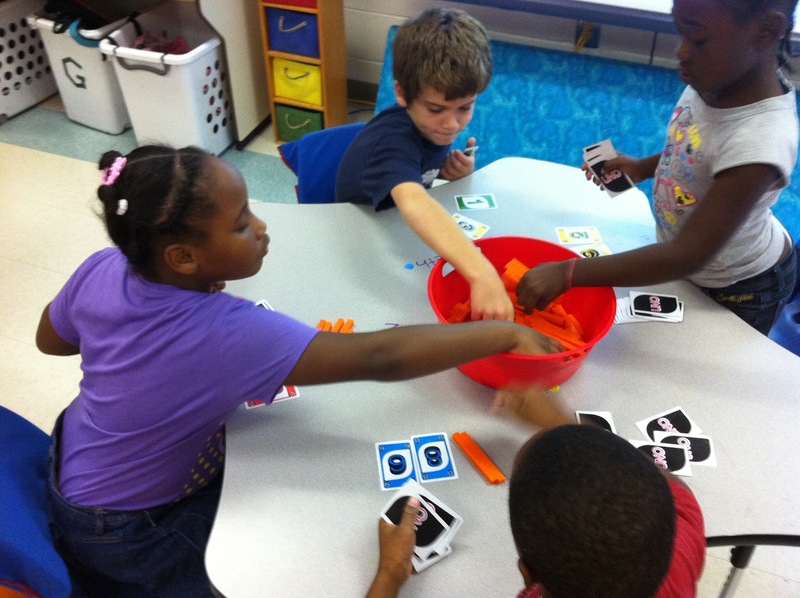 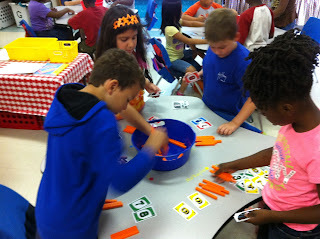 Students made 2 digit numbers with their cards, then compared with their partner to see who had the greatest number. 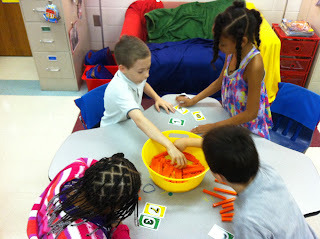 They made each number using the orange base ten blocks. The student with the highest number kept the cards. 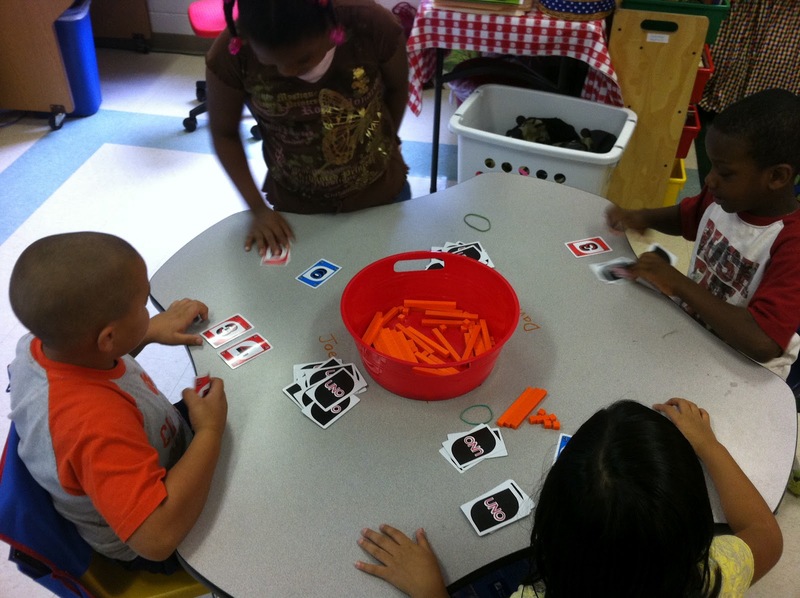 They counted the cards won after each round to determine the winner. The student with the most cards won. Try this at home to review!